Welcome to Amy our newest staff member at Neville Stewart Landscaping. Amy will be looking after our accounts & wages and you may get her friendly voice when you call the office. Farewell to Debbie who has diligently been in this role for the last 7 years and always with a smile. 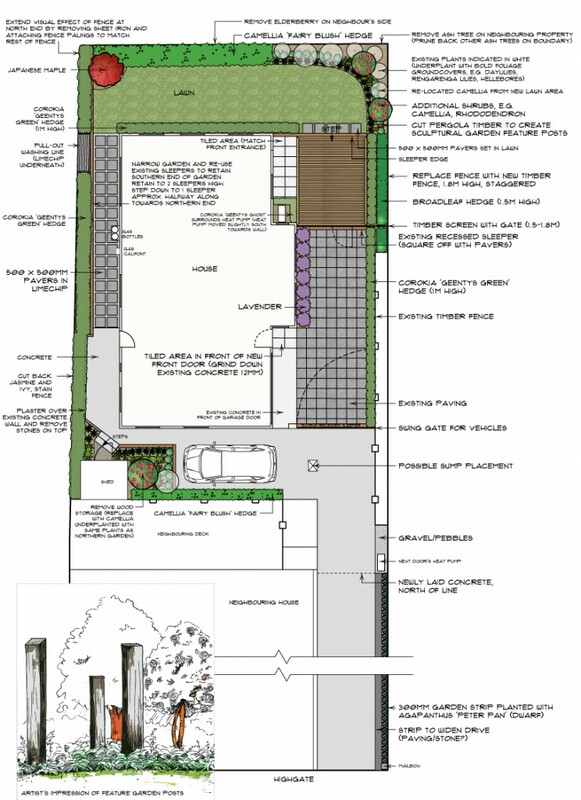 Our recent visits to Kaka Point in Southland have resulted in beautiful Landscape Designs for changing the gardens of some completely renovated homes. These homes look like new builds! Modern and stylish with delicious views to the ocean. They required gardens with an upgrade to suit the new architecture and owners’ requirements and plants chosen for a challenging, windy coastal environment. We utilized a strong NZ native planting theme with sheltered outdoor rooms to give options for extending their family living outdoors and making most of the sunshine and georgeous mild days coastal living has to offer. Neville Stewart Landscaping is very proud to announce that they are now a member of LIANZ (Landscaping New Zealand). LIANZ is a national organisation dedicated to representing, promoting and education professional landscapers in New Zealand. LIANZ is made up of landscape practitioners and affiliated industries that care for their product, standards, professional image and, ultimately, the satisfaction of their clients. NSL have been accepted in the areas of Landscape Design, Construction and Maintenance/Management. 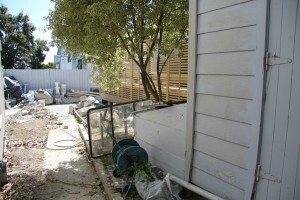 Neville Stewart Landscaping were approached to create a design for a new townhouse in Maori Hill. 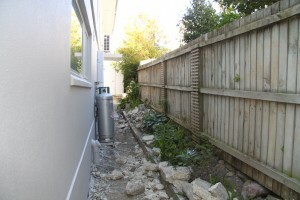 The section had been subdivided off from a house and had some small areas with gardens but most of the paving and garden had been broken up or disturbed by the builders. The owners had also bought the property after the house had been built and there were a number of changes they wanted to make including turning a gym into a garage and the position of the front door. NSL measured the site and took some photos. Simplicity and privacy were the name of the game. Part of the site needed to be used for cars to park and access the new garage while the other part needed to be made into a private outdoor living space. As part of the original design three macrocarpa beams were stood up to form a feature. 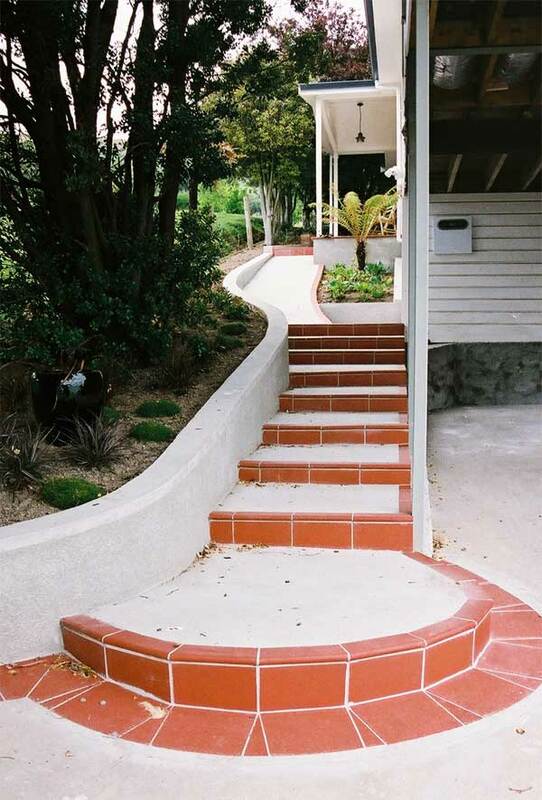 This feature was very wobbly and didn’t really add much to the landscaping, therefore it was proposed to upcycle these into a sculptural landscaping aspect. 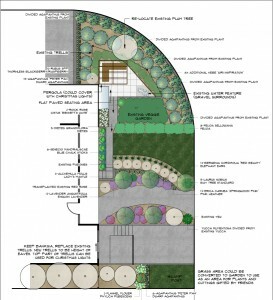 A hand drawn image was presented to the client to show how this might look. Around the back of the property and to the north existing gardens will be reused, rebuilt (where necessary) and replanted. The client loves the concept and looks forward to having a low maintenance, easy garden which provides the level of privacy they asked for. At least for one couple in Fairfield. 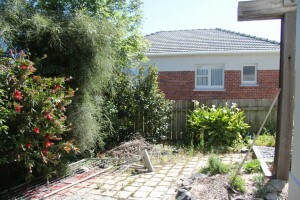 Neville Stewart Landscaping was called in to rejuvenate an existing garden on a corner section. 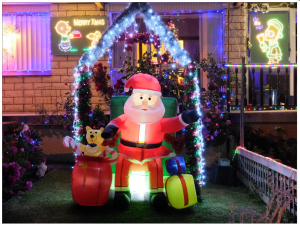 As part of the design they did not want to lose their Christmas Lights. NSL were able to retain their existing lighting and also allow for further lights. New plantings and seating/pergola area were also created. Go back 20 years to 1996 and you’ll find Neville Stewart Landscaping Designing and Constructing a new garden for this property in Ravensbourne. Jump back to 2016 and the new owners love the landscaping but needed a way to keep their dog within the property. The owners approached NSL, as they knew that we had carried out the original landscaping, and a new fence was designed and built.